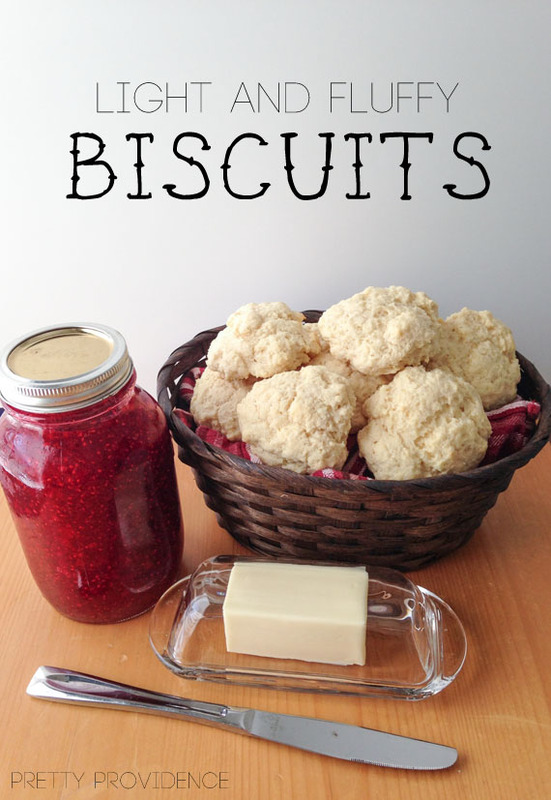 If you have never made homemade biscuits before, make them today. I can promise you won’t regret it. Here are three things I love about biscuits. 1) Biscuits are one of the most frugal foods out there, because you will almost always have all the ingredients in your cupboards no problem. 2) They are a homemade bread (I love me some carbs) that don’t have to rise. What does that signify? It signifies quick, easy and last minute approved. 3) They escalate boring pantry meals and make them seem elegant and well thought out. Example, if I make husband hamburger helper, he thinks in his head “ick”. If I make husband hamburger helper, toss a quick green salad and throw in some biscuits I suddenly get a “babe, thanks for dinner, it was so good.” I’m talking from experience here people. More often than not though, we eat biscuits for breakfast. Biscuits and gravy, biscuit bacon and egg sandwiches or just biscuits and jam. And you guys know how much I love my breakfast foods. We recently discovered this recipe when we had an inkling to try a new one and we hit the jackpot. Seriously the best homemade biscuits I’ve ever made. Preheat your oven to 450 degrees. Add flour, sugar, baking powder, salt and cream of tartar into a bowl and mix with a fork. Add your shortening using a pastry cutter or fork until your mixture is coarse and crumbly! In a separate bowl, mix together your egg and milk. Slowly add milk mixture to your crumb mixture. Mix thoroughly so that all of your crumbs are moist. Drop dough by spoonfuls onto an ungreased baking pan. Bake for 10-12 minutes or until golden brown. Serve with butter and jam, dip in soup, or top with sausage gravy. Any way you serve them, these babies taste like heaven. +If you like this post, you will totally like Healthy Breakfast Cookies and No Bake Chewy Granola Bars! +This post may be linked up to one of these parties.